Oh, that old thing? 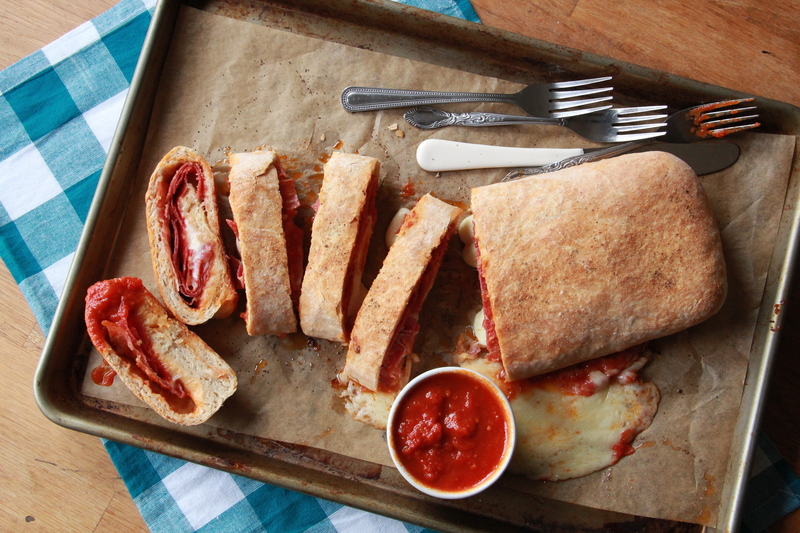 That’s just some homemade stromboli that you might want to make on Superbowl Sunday. The recipe is in my book! ALSO, it’s Thursday! Here are your linky thinks! In honor of the Superbowl this weekend: Bad Lip-Reading, NFL Style. On the floor laughing. Brush less, floss more? The Truth About Your Smile. Eat more cheese! I’ll take some of that triple creme. Germaphobes beware, these 8 household items are hella germy. How To Negotiate. GET IT. Are My Non-Stick Pans a Health Hazard? What happens to the bees in the winter? The honeybee solution is amazing. My friend Lauren is a teacher AND an NFL cheerleader – watch her on the sidelines this weekend. Go, Lauren!! It’s too bad that SkyMall is folding, huh? Hi Molly! I’m coming out of my shell and leaving my first post on your wonderful blog 🙂 I froze half of your amazing sprinkle cookies and was wondering – when I’m ready to bake them, do I just pop them in at 350 or do I need to do something different since they’ve been frozen? Thanks!